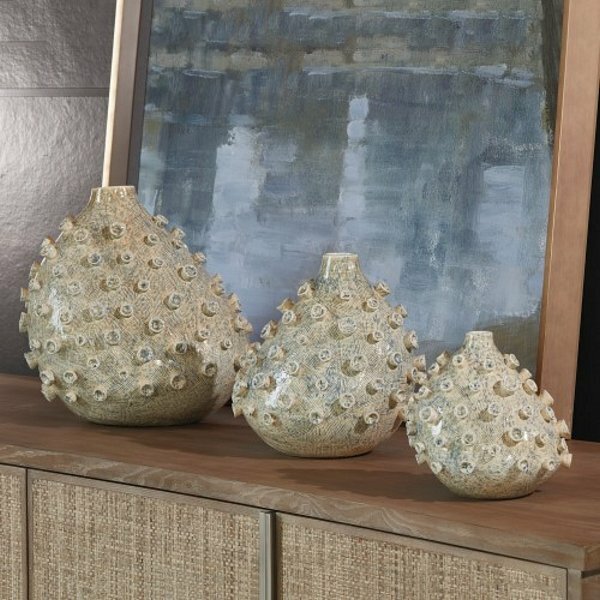 Studio A 7.80524 - Inspired by sea coral, these amorphous ceramic vases are randomly striated then glazed with a reactive glaze which adds a subtle blue tone to the cream-colored base. Available in three sizes. Shown as a set, but sold separately.